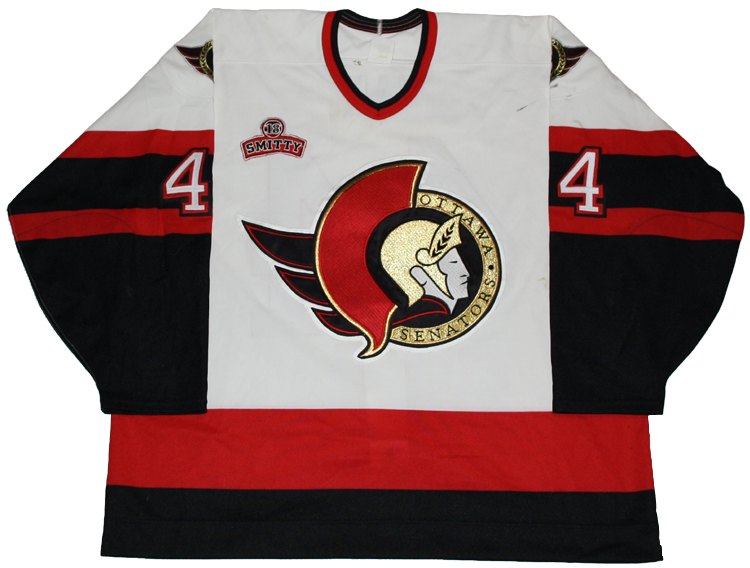 This jersey was issued to Radim Bicanek of the Ottawa Senators for the 1995-96 season and was worn by Bicanek during the 1996-97 pre-season. 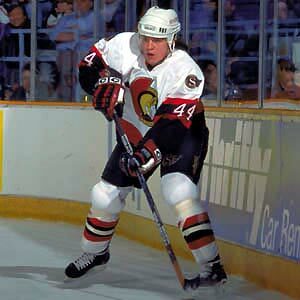 Although Bicanek made his NHL debut during the 1994-95 season, he was never called up by the team the following year and spent the season with the PEI Senators. 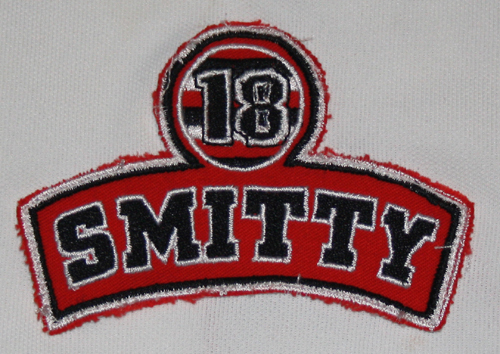 Bicanek returned to the NHL in the 1996-97 season. 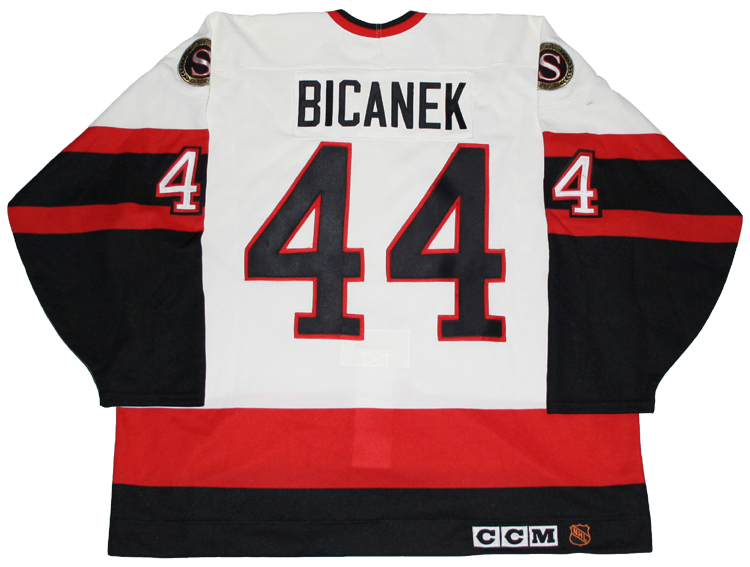 Bicanek played in 35 games for Ottawa between 1994 and 1999 plus 7 playoff games in 1997.